Jason had a very simple relationship with his impossibly wealthy grandfather, Howard 'Red' Stevens. He hated him. No heart-to-heart talks, no warm fuzzies, just cold hard cash. So of course he figured that when Red died, the whole 'reading of the will' thing would be another simple cash transaction, that his grandfather's money would allow him to continue living in the lifestyle to which he had become accustomed. But what Red left him was anything but simple. Red instead devised a plan for Jason to experience a crash course on life. Twelve tasks, which Red calls 'gifts', each challenging Jason in an unexpected way - the accumulation of which would change him forever. With French, Norwegian and Swedish subtitles and Polish audio voice over. 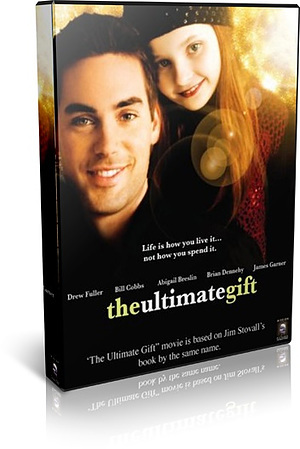 The Ultimate Gift DVD by The Ultimate Gift Llc was published by Authentic Media in June 2014 and is our 1475th best seller. The ISBN for The Ultimate Gift DVD is 5060256821281. Amazing family movie, wee bit sad in places but really inspiring. Got a question? No problem! Just click here to ask us about The Ultimate Gift DVD.